If you have GERD you know just how much of a problem this condition can be in your daily diet life. The full name for GERD is gastroesophageal reflux disease and it is very common as it affects millions of people around the world every year. This condition causes stomach acid and undigested food in the gut to travel back up the throat and burn the esophagus. The most common symptom of this condition is heartburn. 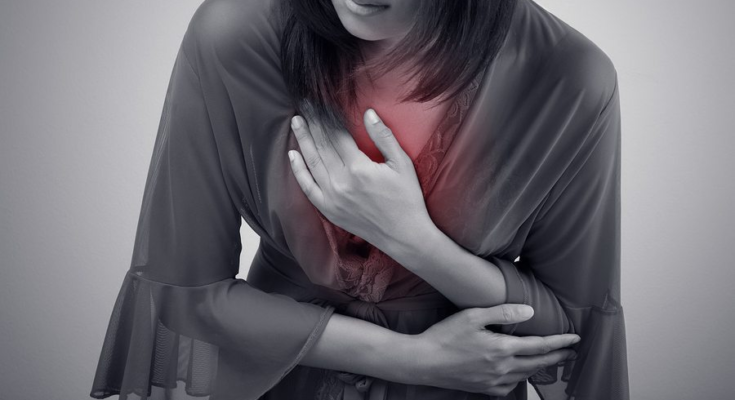 A lot of times people suffering from GERD will think they’re having a heart attack because of the burning sensation they’re feeling in their chest area. Treatments for GERD are often acid-reducing medications and changing certain behaviors or habits in your lifestyle. However, probably the most effective way to treat GERD and keep it from coming back is adapting to a healthy diet plan. Eating the right types of foods and staying away from the ones that trigger GERD will help you tremendously. According to My GERD and Reflux Cure, the best diet for GERD includes eating foods that are rich in fiber like apples and bananas and drinking an excessive amount of pure water every day. Other fruits that you should add to your daily diet to help get rid of symptoms of GERD include melons, peaches, berries, and pears. Keep in mind that not all fruits are good for you. Some fruits can actually trigger your symptoms if they are too acidic. Acidic fruits like oranges, grapefruit, and pineapples should be avoided since they can make your digestive system very acidic and cause your symptoms to flare up. Along with fruits you need to add more of the right kind of vegetables into your daily diet. You want to aim to include more green leafy vegetables in your diet, and you want to eat them raw if possible. The less you have to cook them the more value they’ll add to your diet and keep your symptoms at bay. The best vegetables to eat include spinach, kale, broccoli, and arugula. The one vegetable you should be cautious of is tomatoes because they have a high acidity level that will make your GERD symptoms become worse. Certain grains can help get rid GERD as well. The best grains to add to your GERD diet are brown rice, oatmeal, and wheat bread. Stay away from white rice and white bread because they have usually been processed too much and will cause more problems with your GERD symptoms. Finally, do your best to stay away from all dairy products in order to avoid triggering your GERD. Dairy products like milk, ice cream, whip cream, and anything else with dairy in it will make your symptoms worse and last longer. If you do have to eat dairy always go for the low-fat dairy products like skimmed milk instead of whole milk, or low-fat cheese instead of regular cheese. If you follow the diet listed above you will find that you experience fewer symptoms of GERD as a result. The best part is eating healthy like this will help make your entire body feel good. You will feel more energized and healthy throughout the day.